The Printing Colour Project is an international and interdisciplinary initiative to write colour into the history of printing in the West, 1400–1920. It focuses on establishing the history of colour printing in relief and intaglio across all disciplines that derive from handpress-printed material. It is directed by Elizabeth Savage (Institute of English Studies). Printed colour has conventionally been rendered invisible by collecting trends and cataloguing practices. Colour printing inks are often omitted from research, and their printing techniques are often misdescribed when they are noted. 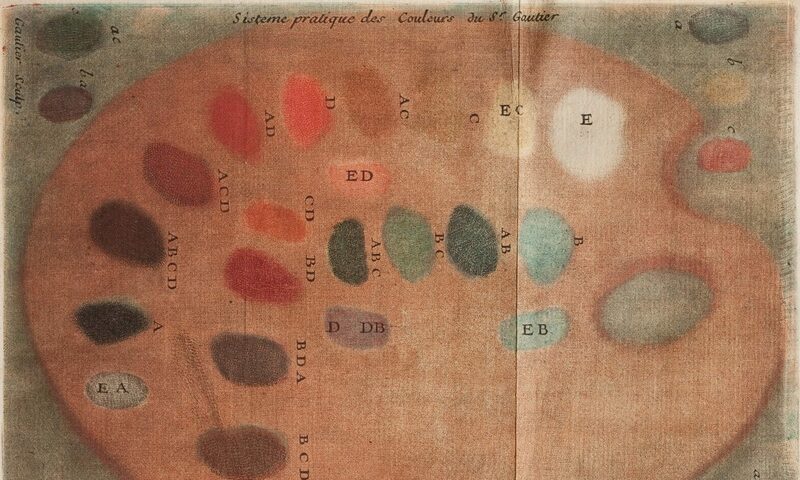 By shedding light on many thousands of historical colour prints and exploring how they were produced and used, the Printing Colour Project offers new perspectives for understanding heritage collections, bibliography, the history of art, the history of science, the history of technology, and the history of communication. facilitated many academic workshops and pop-up displays in libraries and museums. From the earliest, manual printmaking in the West (before Gutenberg invented moveable type c.1450) to the last major revivals (before WWI), the Printing Colour Project explores the technical developments that shaped how information was communicated and artistic styles developed. It transcends disciplinary boundaries to consider all media and functions of printed material, including fine art, single-sheet prints, books, illustrations, fashion and fabrics, medical and scientific imagery, decorative paper, wallpapers, ‘medicinal’ prints, and devotional objects. The Printing Colour Project developed quietly in 2009, with two exhibitions and exhibition catalogues. In 2011, it created a new field of enquiry with a major international conference, Impressions of Colour. It was the first forum to discuss colour printing pre-1700 (when most such histories begin). Now, it advances the history of early colour printing in the West, especially relief and intaglio. It leads core activities, supports others, and promotes those of its members and the broader community, including research, exhibitions, training and publications worldwide. Membership is open to all who advance research into the history of colour handpress printing techniques in the West, 1400–1920. Members include academics, collectors, conservators, curators, librarians, practicing printers, and print and book dealers, and students. Its members have pioneered research into the materiality and technology of historical printing. Their work has overturned fundamental assumptions that underpins scholarship in fields that derive from printed material, including the history of art, books, fashion, medicine, money, science and wallpaper.